Oiyi's Crafts: Are you ready for another contest? Are you ready for another contest? Let's get down to business first. The Random Number Generator has spoken and the lucky winner of 1000 Fabulous Knit Hats is Craftivore! Please email me at oiyi.yau(at) gmail (dot) com to give me your mailing info and I will ship the book out to you. Congratulations! Now for another great contest! My first shawl pattern is scheduled to be released next week. I thought it would be fun to have a giveaway. I will be giving away 3 printed copies of the LaReine pattern (Ravelry link). Plus, there is more! 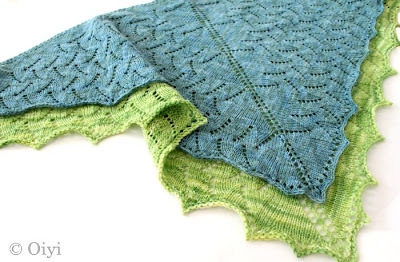 The original sample is knit with 1 skein of Sena from Okayknits in the colorway, Water Green. 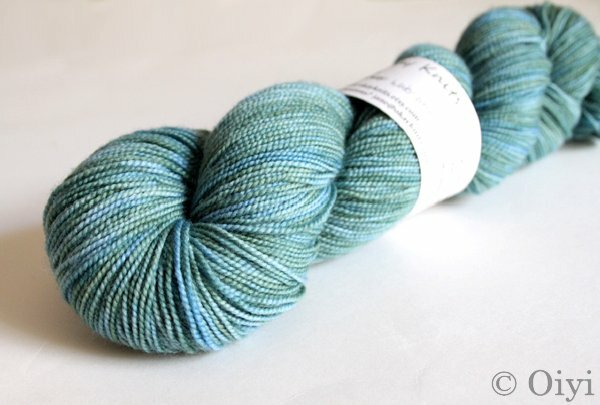 I had bought 2 just in case, so I will be giving away the second skein for the contest. Okayknits dyes her yarns in batches of 2 skeins so each color is non-repeatable and extremely limited. I love knitting with her yarns because it doesn't pool and has such depth of color. One of you lucky winners will be getting the original yarn and color! When Jane of Okayknits heard I was going to be running this contest, she generously offered up 2 skeins of her yarns. On the left is Sawa Sawa in the colorway, Vermeer. On the right is Sena in the colorway, Sweetie Pie. Wait, it gets better. 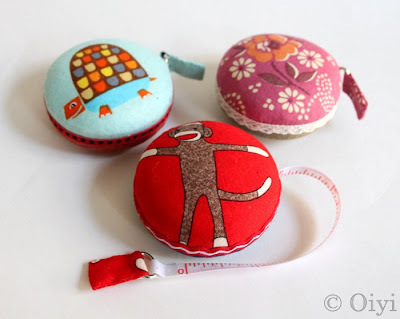 Tomo from Tomo and Timo wanted to add some more fun to the contest by donating 3 of her awesome fabric covered tape measures. These are the cutest tape measures. She has been selling them at yarns stores in Brooklyn and Manhattan and recently opened up a etsy shop. Her tape measures are also featured in this month's issue of Crochet Today. There will be 3 winners. Each winner will receive a printed copy of my pattern, one skein of yarn and one tape measure. The one skein of yarn will be enough for you to make my shawl. When I announce the winners, it will be first come first serve for the choice of the yarn color. Whoever emails me first, will get first pick. To enter the contest, please leave a comment on this blog post by Oct 13, 2010 (12am EST). Anyone may enter, even if you are outside of the USA. I want to try something different this time. I am offering more chances to win this contest. How? You can increase your chances by blogging about my contest on your blog and link back to this post. For those of you that have Twitter accounts, tweet about it and link back. Even Facebook! Post my contest/link on your status update. And let's not forget about Flickr. So, you can enter this contest up to 5 times. For each type of entry, please leave a separate comment. For example, if you blog about my contest, please leave another comment with your link. If you tweet about it, leave another comment with a link. For Facebook, it will be an honor system since I can't exactly friend everyone on my personal account. But leave another comment that you wrote about it on Facebook. I'm one of Lissa's yarny friends, what a beautiful pattern! Congratulations on the pattern! It's so pretty, and the yarn is beautiful. Ooooo pretty!!! :D Another friend of Lissa's. I commented! Look a comment! Seriously, this is a beautiful shawl and the fact that all my prizes were created by my friends makes me feel all warm and fuzzy inside. Oooh. Lovely shawl pattern and super pretty yarn! Also, I tweeted on my public (thepublicpom) and private twitter accounts. I want that pattern! Beautiful shawl and wonderful giveaway! That shawl is lovely! I need to get into the city more--I miss you guys! Emily passed on the info about the shawl contest! Beautiful! Also posting to my facebook page for you! Awesome giveaway! I just saw the shawl earlier today on your Rav page and commented there. It is beautiful and I'd love to make one. Thanks! What an awesome contest! I'll be posting it on my blog & on Facebook. This is a very generous contest! The shawl is gorgeous. Gorgeous shawl! This would be a perfect birthday present for me:) Hope I win!!! 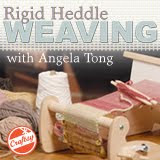 Hi Angela - Such a lovely shawl, may it sell a million copies! I hadn't seen Tomo's tape measures before, either - so cute. I tweeted about the giveaway, too! Would love to knit up this beautiful shawlwith this delicious looking yarn! Oh my gosh, what a great giveaway! I'm keeping my fingers crossed for this one! Very lovely and colorful shawl. I would appreciate it if you could enter me in your drawing... Excellent work!! What a gorgeous shawl and such beautiful yarn to knit it from!!!! It's all so delicious--the pattern, the tape measure, and the yarn! Such a generous give-away! I want it. I'm hoping for some luck! This is a great giveaway. Kudos on the pattern release. Pick me pick me! I know I'm a tester, but I'd love more yarn to make another. omgeez! omgeez! pick me?? I just love this shawl! Congratulations on the pattern - the shawl is lovely! Beautiful shawl and yarn!!! Love the cute measuring tape. What a great giveaway and congrats on your pattern. It truly is a beautiful shawl. I did post to twitter and facebook earlier in the day. But I couldn't post to the blog until after work. I will defintely be supporting you with this shawl. Fabulous giveaway!! I bet Melody wants to keep all 3 of those tape measures, they are sooo cute! Oh my goodness those shawls are simply amazing and the colors are just absolutely gorgeous. The little tape measures are so cute and yes I agree that Melody would love them. What a fabulous giveaway, please include me in too. One way or another - I have to have that pattern! Absolutely gorgeous and atypical! Wow, I am so excited about your shawl pattern!! It looks beautiful and I love that yarn. There will be 3 very lucky people that win the contest!! What a great pattern matched with great yarn. Here's my entry - and thanks for the chance! Beautiful shawls! So pretty. Lovely prizes too, love those tape measures! Congratulations on the shawl pattern ... here's my entry for the contest, and I'm linking on Facebook as well. Fun!!! Love the shawl and tape measures..... So clever! Have a sweet Friday! Who can resist a contest?!? Hope all is well. I am going to put a link of this on Facebook. Very pretty shawl! I posted a fb linky this morning and will mention in my blog posts when I write them later today. The shawl looks so pretty! Congrats on printing out your first pattern! Lovely shawl! did you say this is your first pattern? its a masterpiece.. good luck with the pattern..
What an extraordinary contest! I've just blogged about it on my crafty blog, Yarnends. Delighted to make your acquaintance! Oh, and I LOVE that new shawl pattern! I never win....and boy I'd love to win this one! Gorgeous pattern, plus yarn and a tape measure too? AWESOME. Those have got to be the cutest tape measures I have ever seen. That is a beautiful shawl! I'm keeping my fingers crossed! Lovely pattern and giveaway. Thanks! I love those tape measures. Beautiful shawl and nice prizes. What a lovely pattern and the yarn and measuring tapes are perfect with it. What a beautiful pattern, and great sponsor giveaways. I would love to win, but of course, who wouldn't!? Wow! Thank you for having this contest! Your generosity is amazing....so is your shawl pattern! Your pattern looks great, and I'd love to enter your giveaway! Congratulations on a very lovely pattern ... that yarn looks delicious! What a wonderful gift! Thanks so much for sharing! 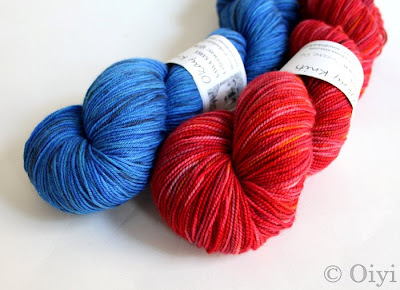 Okay, just posted about this in my scarf exchange blog too! What a beautiful shawl! I will wait for its release. Thanks for the giveaway. Beautiful! scarves and shawls are the in thing, aren't they? i am so happy you posted the tape measure shop i just bought some xmas gifts! What a lovely shawl design! Very wave like! Will it be available as pdf download as well? Lovely pattern, gorgeous yarn! Count me in, please! Since seeing your beautiful shawl, I have been checking your blog daily to find out when your pattern will be available. To my delight you are having a contest! -Count me in on the fun!!! Oh my gosh, WOW, thank you!! I totally did not expect that. Your two shawls together look amazing. 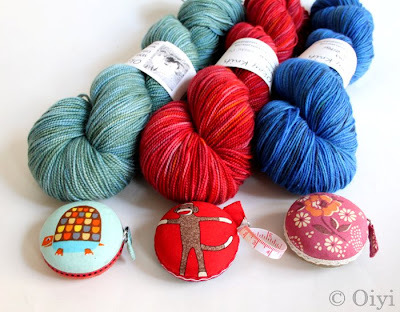 Love the little tape measures paired with the yarn, so cute. Well I can only but try. So here is my comment - gorgeous stuff! Congrats on the new pattern - it's beautiful! Love the yarn and the colors! Congratulations on the print! I only hope to win one set... Thank you for your generousity. Lovely pattern & yarns! Wow! I am posting to facebook right now! Oh wow! I'm excited. What an amazing giveaway. This is definitely a great giveaway - the shawl being the best part! You did such a nice job on it. Can't wait to start knitting it! Of course, I blogged about it, too! This giveaway is soooo cute! Congrats on the new pattern- that is so exciting and your shawls are lovely! Can't say enough about those plump little measure tapes! What a gorgeous knit! I'm so excited to see you releasing a shawl pattern. Hello,what a briilaint contest,how can you bear to part with any of the prizes!!! I love small shawls especially those that are one skein shawls!! What a lovely pattern and unbelievable that it's your first pattern! I have turned a lace-manic these days and this would be a perfect pattern to knit!! What a beautiful pattern! I would love to make that shawl!!!! I would have trouble choosing a color -- but Id be happy to try!